Philippine Eagle Center, Davao City | To Be, To Be. Tutubi. 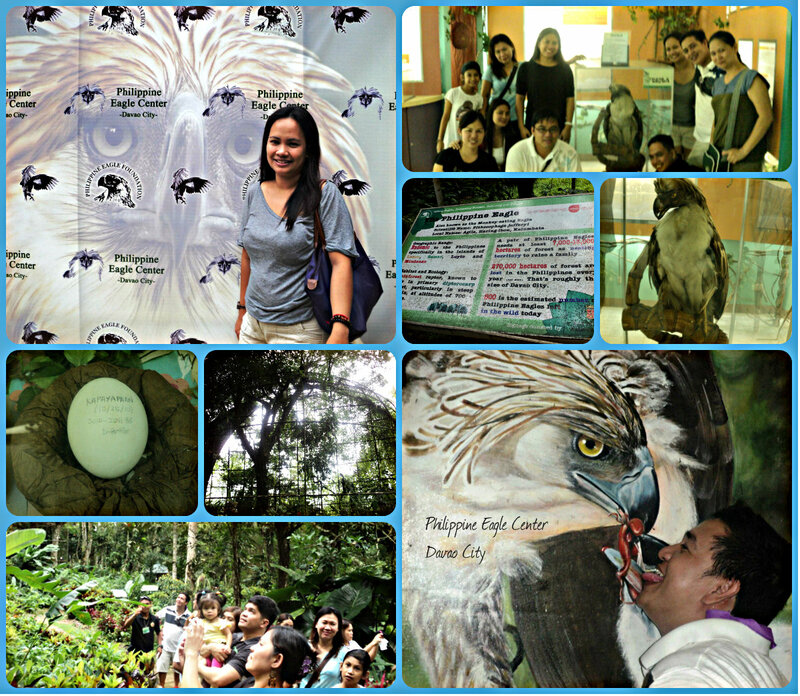 You can't go to Davao and not visit the Philippine Eagle Center. That is what I keep telling my friends when they learned that the Eagle Center was still an hour away from Eden Nature Park. You see, the Philippine Eagle Center is home to our national bird which one of the most powerful and rarest of birds in the world. You have got to see it! And we did! We paid an entrance fee of P5.00 to enter the water something, and the another P50 for the Eagle Center itself. There was a very knowledgeable and funny tour guide who made walking around the center very fun and educational. We learned the mating habits of the Philippine Eagles, and the fate of some of them that were released from the center. We also saw the names of people who made donations, as their names were carved on slabs of concrete lining the walkways. It was a very educational trip, and one that made us appreciate nature more as we learn how each and every action affects other living things in this world!